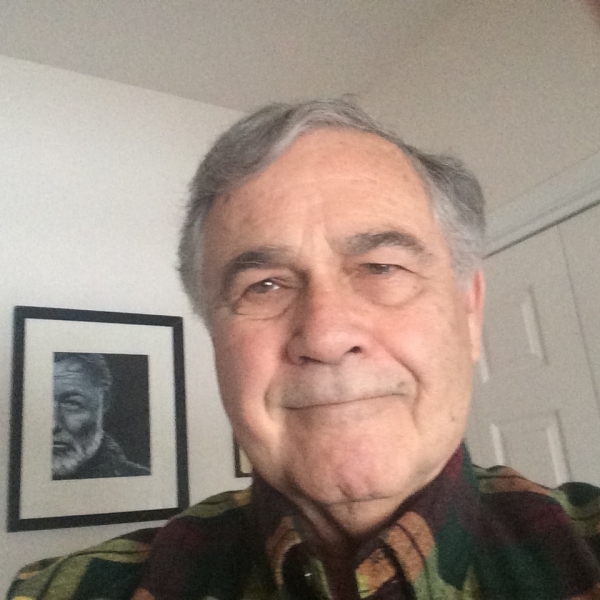 Larry Grimes is Professor Emeritus of English in the Gresham Chair for Humanities at Bethany College (WV) where he taught for 39 years, chaired the Department of English for 25 years, and also served as Dean of Arts and Sciences. A founding member of the Hemingway Society, he is the author of The Religious Design of Hemingway’s Early Fiction and, with Bickford Sylvester, editor of Hemingway, Cuba, and the Cuban Works. Presently, with Peter Hays, he is completing the book Bickford Sylvester began on The Old Man and the Sea for the Kent State University Press Reading Hemingway series. In addition to his books and essays on Hemingway, he has also published on crime fiction and the films of Alfred Hitchcock and the Coen Brothers. His essays and reviews have appeared in journals as diverse as CLUES, Modern Fiction Studies, Studies in Short Fiction, and The Hemingway Review. His most recent poetry publications were in two anthologies, Outscape and The Southern Poetry Anthology: Contemporary Appalachia. He resides in Bethany, West Virginia and near Mancos, Colorado. In both locations he teases trout as often as possible.